The second volume in the definitive biography of Joseph Stalin, covering collectivization and the Great Terror up to the conflict with Hitler’s Germany. The three central episodes of Mr. Kotkin’s narrative, all from the 1930s, are indeed violent and catastrophic, if in different ways: the forced collectivization of Soviet agriculture; the atrocities of the Great Terror, when Stalin ‘arrested and murdered immense numbers of loyal people’; and the rise of Adolf Hitler, the man who would become Stalin’s ally and then, as Mr. Kotkin puts it, his ‘principal nemesis.’ In each case, as Mr. Kotkin shows, Stalin’s personal character—a combination of ruthlessness and paranoia—played a key role in the unfolding of events … There have been many other biographies of Stalin, but none matches the range of information and analysis that animates Mr. Kotkin’s ambitious project. Waiting for Hitler is biography and history on a grand scale—equal in scope to the enormity of the events it describes. Drawing on an astonishing array of sources, Kotkin paints a richly variegated portrait, delving into Stalin’s peculiar personality even while situating him within the trajectories of Soviet history and totalitarianism more generally … Slowly but inexorably, Kotkin teases out his subject’s contradictions, revealing Stalin as both ideologue and opportunist, man of iron will and creature of the Soviet system, creep who apparently drove his wife to suicide and leader who inspired his people … Who exactly were Stakhanovites, Chekists and Orenburg Cossacks? Kotkin provides little help. Also daunting to nonspecialists may be Kotkin’s tendency to drop the names of numerous Soviet officials who surrounded Stalin without drawing out their personalities or backgrounds. These are, though, mere quibbles. The book deserves the broad audience it may struggle to find and will surely stand for years to come as a seminal account of some of the most devastating events of the 20th century. Although it runs to more than 900 pages of dense text, it is the most gripping of reads, packed with epoch-shaking events and human tragedy. This volume sweeps through the collectivisation of agriculture and the mass famine of the early 1930s, the Great Terror of 1936-38, the outbreak of the second world war, the disastrous winter war against Finland, and the macabre diplomatic dance between Stalin and Hitler ahead of the Nazi invasion of June 1941. This is, as close as it is possible to imagine, the definitive biography of Stalin … The portrait that emerges is of a phenomenally hard-working, ruthless, ideologically driven and coldly calculating tyrant. 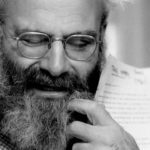 His most singular feature was his extreme willpower supercharged by his conviction that he was the historic instrument of Marxist-Leninist revolution. 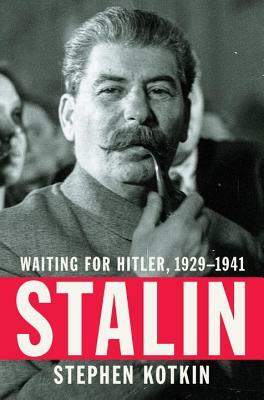 What did you think of Stalin: Waiting for Hitler, 1929-1941?